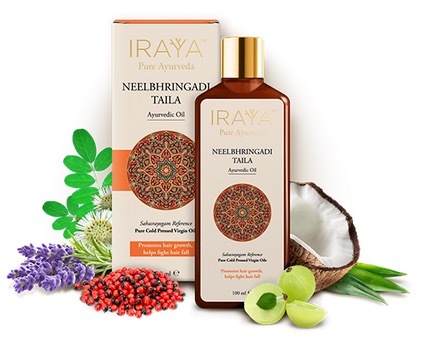 Iraya, a well known Indian beauty brand has recently launched a range of Ayurvedic Hair Oils. 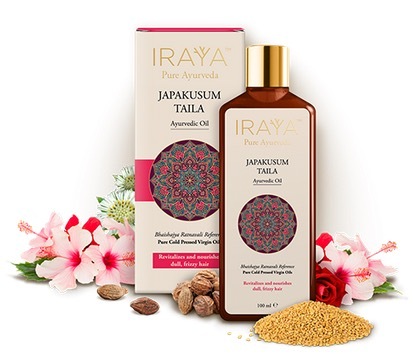 This newly launched range brings together Original Ayurvedic Recipes blended with the finest quality herbs and pure Cold-pressed oils, made through a slow, authentic process that ensures a full potency of the herbs and oils. 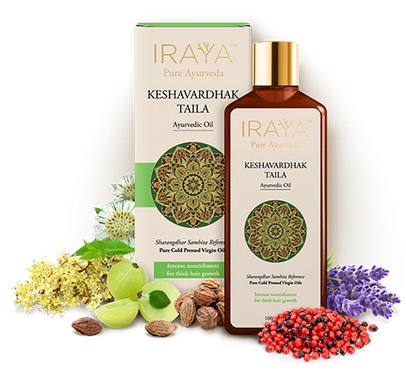 Iraya uses the finest quality herbs and their products are free from synthetic colors or fragrances, Petrolatum, Mineral Oils or Parafins. 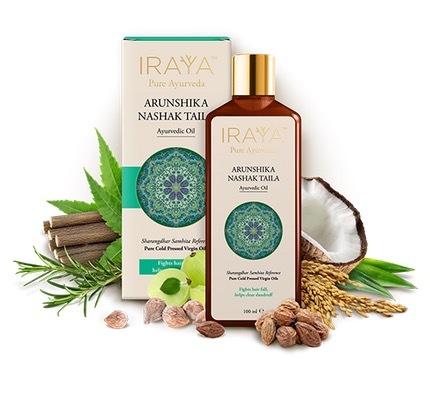 You can buy Iraya products from their official website – here. Enriched with Bhringaraj, Gunja, Amla, Coconut oil, Sesame oil and Rosemary. It promotes hair growth and helps fight hair fall. 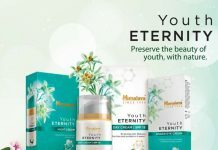 It is also effective in treating premature graying of hair. Infused withhibiscus, bhringaraj, fenugreek, suryamukhi, methi gunja, coconut, sesame, rice bran oils, Rose and Ylang-ylang essential oils. It revitalizes and nourishes dull, lifeless frizzy hair. It strengthens hair from the roots and treats follicular problems. Helps in hair growth and promotes luscious thick hair. Provides intense nourishment for thick hair growth. It is enriched with Triphala, Bhringraj, Gunja, Gokharu, and Rose & Ylang-ylang essential oils. It helps in preventing hair loss and promoting hair growth. It serves well as a one stop hair solution for hair concerns. It prevents inflammatory scalp conditions and fights hair fall. It helps clear dandruff and other scalp irregularities. Enriched with Neem, Triphala, Amla, Hirda & Behada and blended with essential oils of Rosemary, Lime and Frankincense. It strengthens hair follicles, increases scalp circulation and stimulates healthy hair growth. Specially Keshwardhak varient, it really helped my hairfall stop. No other oil is suiting my hair. And there is no stock in market. Please do the needful.